Not all BombiniBot motors are created equal. A motor with a stiffer drive train will turn more slowly than an average motor. Don't worry, a little tuning will have your BombiniBot moving as smooth and straight as its brothers. 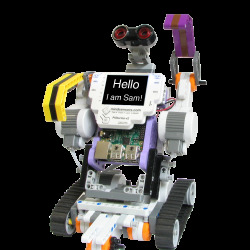 Just connect your BombiniBot to the bbb_panel, click 'Run Scratch', and open the motorTest example provided in the BombiniBotWin or BombiniBotMac example folder. It should resemble the picture below. A fully charged BombiniBot will move very quickly at half speed. Set the left and right motor speeds to 50 and run the bot. 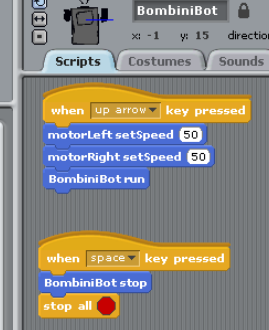 If you BombiniBot does not travel forward in a straight line, then your motors require tuning. 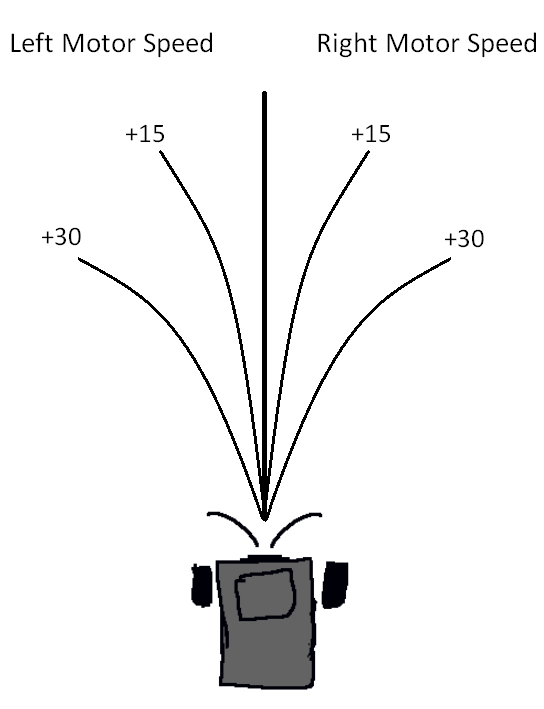 For bots that fade to the left, increase the left motor speed value. For bots that fade to the right, increase the right motor speed value. Use the picture below for reference. If you have set one of your motors to a value of 50 more than the other, please let us know and we will gladly replace it.